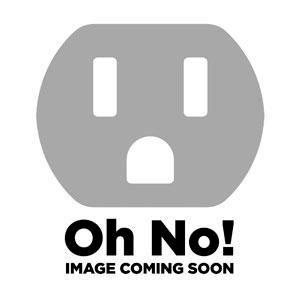 A superior direct replacement for porcelain ANSI 53-2 spool insulators in identical installations. 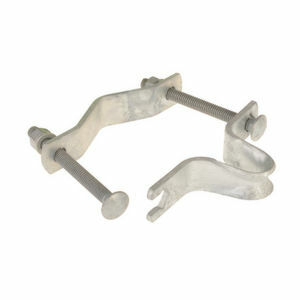 Molded from specially blended UV stable polymers for high compressive strength. Spool insulators are used with spool bolts (upset bolts), insulator clevises and secondary racks for neutral and secondary applications. 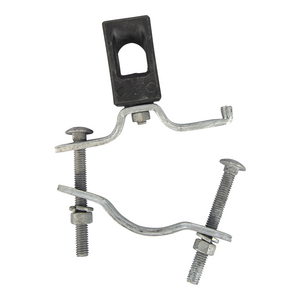 U Wall Strap deadends strands at right angles to the mounting wall. Attach the U wall strap using 1/2" hardware (not supplied). Mast Type Nylon Wireholder for 1 1/4" thru 3" diameter pipe. 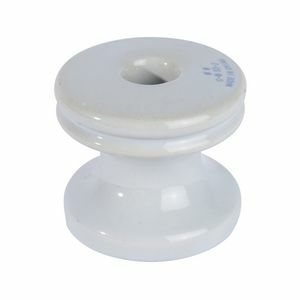 Nylon insulator is rugged and light weight with insulation values comparable to that of porcelain. Nylon Wireholder, with No. 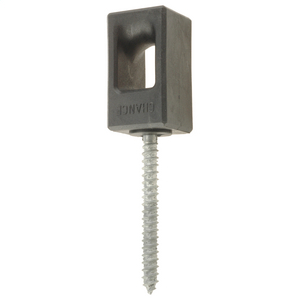 22 x 4" lag screw. 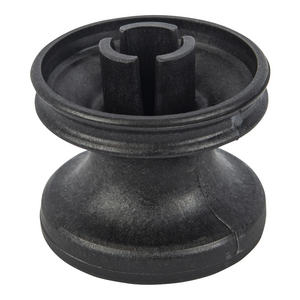 The nylon insulator is rugged and lightweight with insulation values comparable to porcelain. Nylon Wireholder, with No. 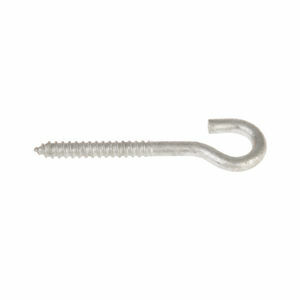 22 x 2 3/4" lag screw. 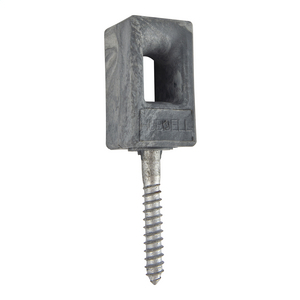 The nylon insulator is rugged and lightweight with insulation values comparable to porcelain. Nylon Wireholder, with No. 22 x 2 1/4" lag screw. 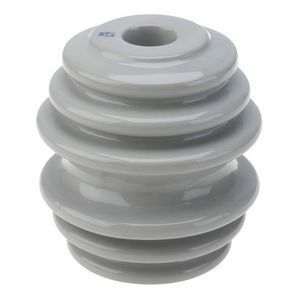 The nylon insulator is rugged and lightweight with insulation values comparable to porcelain.